Caption Opatija is a town in western Croatia just southwest of Rijeka on the Adriatic coast. --- --- --- Opatija had got its major breakthrough under the rule of the Austro-Hungarian Empire which was expanding its railway networks. Urged on by the advice of top doctors; notably the Austrian laryngologist Leopold Schrötter who found the local sea air to be an excellent cure for throat complaints the Southern Railway Company or Südbahn had built a direct line from Vienna to Rijeka. The construction of hotels was next on the agenda which was seen as a major requirement in order to meet the needs of a growing tourist industry. In 1884 the Südbahn had opened Opatija’s first sanatorium the Kvarner which continues to operate today under the name Kvarner Hotel. Since its early days Opatija was always seen as an exclusive resort for the horse-and-carriage set and it had soon become popular amongst the Austro-Hungarian royal family. 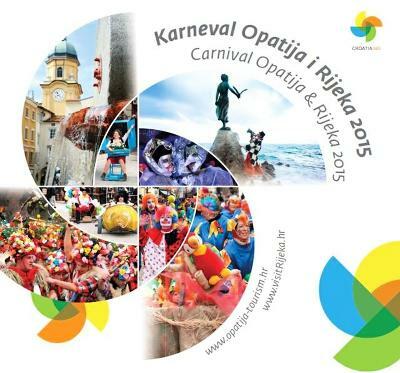 Headline Carnival in Croatia every year overcomes all obstacles to stay as a incomparable holiday of joy ingenuity satire fun and freedom. You are invited to enjoy for everyone. Carnival in 2015 runs January 17 to February 18 launch of Gobo!